Whichever Disney employee decided that live-action adaptations of their classic animated cartoons was a good idea deserves one hell of a bonus. After financial and critical successes like Cinderalla, The Jungle Book and Beauty and the Beast, and with The Lion King guaranteed to clean up at the box office next summer and Dumbo and Mulan in the pipeline, too, all eyes are now on The Little Mermaid. The 1989 film kicked off an animation renaissance for Disney and remains one of the most beloved movies in their catalogue. But who’s going to step into the fins and clamshell bra of Ariel? Well, Spider-Man: Homecoming star Zendaya has long been rumored to be Disney’s number one choice for the role, so it was about time someone put it to her whether she’d want to do it or not. Fair point Zendaya. After all, which aspiring young talent wouldn’t want to sign up for a cast iron blockbuster that’d inevitably propel them onto the A-list? If rumors are to be believed, she could just be playing coy, too. After all, That Hashtag Show reported last month that Disney had already offered her the part of Ariel, with an announcement presumably being delayed so as not to spoil press for their other live-action movies. 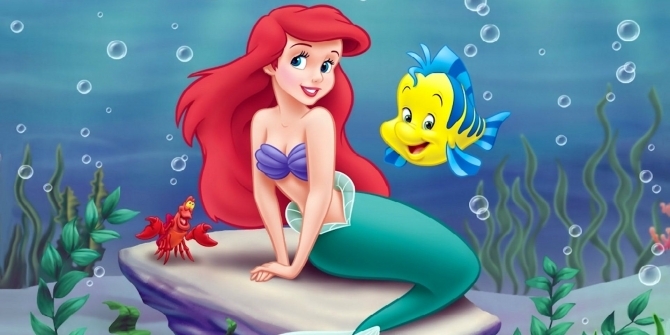 Still, we’re gradually filling in the blanks of what a live-action Little Mermaid will look like. We know that Alan Menken and Lin-Manuel Miranda are going to be writing songs for it and, if advance reports are to be believed, we’ll see Mary Poppins Returns director Rob Marshall behind the camera working from a script by Kickass, X-Men: Days of Future Past and Kingsman writer Jane Goldman. We can also presumably expect a heavily CGI laden Little Mermaid with spectacular underwater effects and a less racist crab sidekick. Personally, I can’t wait.